Harvard University Press, 9780674051072, 320pp. The phrase "Harlem in the 1920s" evokes images of the Harlem Renaissance, or of Marcus Garvey and soapbox orators haranguing crowds about politics and race. Yet the most ubiquitous feature of Harlem life between the world wars was the game of "numbers." Thousands of wagers, usually of a dime or less, would be placed on a daily number derived from U.S. bank statistics. The rewards of "hitting the number," a 600-to-1 payoff, tempted the ordinary men and women of the Black Metropolis with the chimera of the good life. 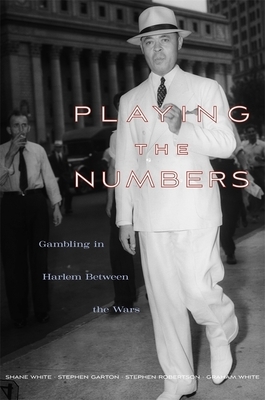 Playing the Numbers tells the story of this illegal form of gambling and the central role it played in the lives of African Americans who flooded into Harlem in the wake of World War I. For a dozen years the "numbers game" was one of America's rare black-owned businesses, turning over tens of millions of dollars every year. The most successful "bankers" were known as Black Kings and Queens, and they lived royally. Yet the very success of "bankers" like Stephanie St. Clair and Casper Holstein attracted Dutch Schultz, Lucky Luciano, and organized crime to the game. By the late 1930s, most of the profits were being siphoned out of Harlem. Playing the Numbers reveals a unique dimension of African American culture that made not only Harlem but New York City itself the vibrant and energizing metropolis it was. An interactive website allows readers to locate actors and events on Harlem's streets.